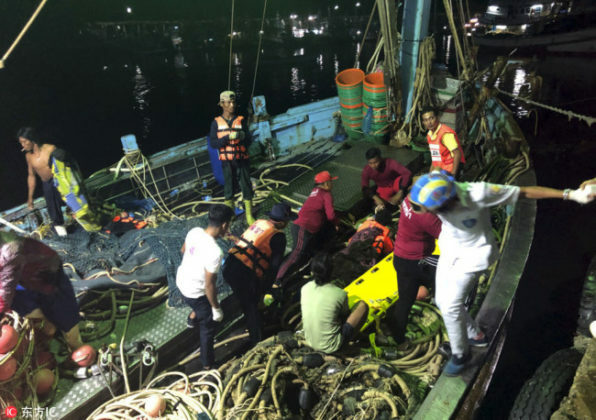 The governor told Xinhua that four people did not board the boat so there were actually only 89 passengers aboard when the “Phoenix” and another tourist boat capsized in rough seas off the southern Thai resort island of Phuket on Thursday. Thai authorities said previously that a total of 105 passengers were on board “Phoenix” with 93 passengers, a tour guide and 11 crew members. He said among them, 37 people had been rescued, 41 bodies had been retrieved and a body was pressed by the sunken boat to the seabed.